Like the necklace, the bracelet has been a feminine and masculine ornamental attribute since the beginning of time. Initially made of wood, horn, leather or even woven with vegetable palms, it is then available in precious metals, adorned with strong symbolic stones. From the simple strap laced to the wrist to the prestigious golden cuff wrapped on the forearm of the pharaohs, the bracelet is this symbolic gem of link, belonging, identity (as proof the traditional engraved gold gourmets) but also power, elegance and trend. Today it has lost nothing of its distinction and remains this iconic piece, guarantee of a successful gift. It is a practical gift that does not require knowing the turn of the wrist of the person, a jewel "one size" that avoids any indelicate error in size. Moreover, there is no fear of offering a duplicate bracelet if the woman already wears it: the advantage of these jewels is that they can add and accumulate on the wrist, for ever more femininity. How to choose your Edenly bracelet? 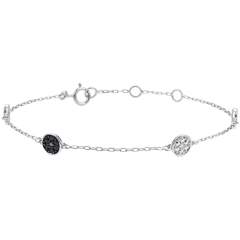 There are two styles to choose from: chain bracelets or cords, which offer flexibility and fluidity of movement of the jewel on the wrist, and bangle bracelets, which are of a rigid format. Edenly's gold chain bracelets are 18 cm, 17 cm, and 16 cm in length, which allow you to adjust the length of your gold bracelet to your wrist for more or less fluidity and guarantee a comfortable fit. The gold bangles do not allow this adjustment, but our Edenly models are standard size and will fit the different wrist sizes. To guide a possible indecision of choice if you offer a gold bracelet, we recommend sober and timeless models, such as the yellow gold, white gold or pink gold metal bangle, which unconditionally seduces with its pure and minimalist design. Edenly also offers you a selection of more creative and contemporary bracelets, such as this cross bracelet, which combines both the traditional rock-look icon and a rebellious touch: or this: foliage bracelet from the Enchanted Garden collection. And as the bracelets can be worn in accumulation, or if you wish to accompany your purchase of a ring, earrings, a solitaire, wedding rings, engagement rings or pendants of the same collection, Edenly offers you a -20% discount on the second jewel. Our guarantees will also allow you to benefit from free shipping, free exchange or refund within 30 days, 2 years warranty, certificate of authenticity’s part of a gift purchase, you will not face a size error with one of our models. 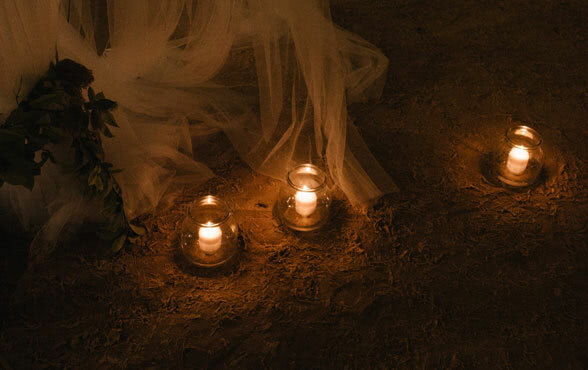 With 10 years of experience in jewellery and online and with exemplary satisfaction rates, Edenly jewellery has gained an undisputed reputation and legitimacy beyond European borders. It has based its activity on respectful pillars: to offer an irreproachable quality of jewellery, a know-how, to propose competitive and honest prices to open up to a greater number, to offer an attentive service to each to make sure of the satisfaction of all. Edenly, besides selling her jewels, is committed to her customers. 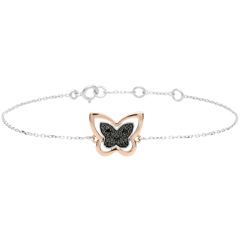 To choose an Edenly jewel, it is to benefit from the free delivery, the free exchange or the discount at size, the engraving offered, and the possibility of a full refund for 30 days. Choosing Edenly is also taking advantage of a 20% offer on the second jewel and other models, but also to move forward with a responsible and committed brand with its customers, who will accompany your order and your expectations up to your entire satisfaction. Would you like to be with her every day? A gold bracelet will remain on her wrist, as will you in her thoughts. 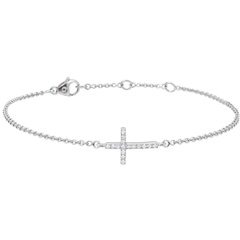 Whether she prefers a more classic or original bracelet, our selection of solid bracelets and chain bracelets will let you choose from amongst the most distinguished jewellery. If you do not know how to choose between the white gold, yellow gold or several gold bracelets, our Bracelet Guide has been created especially for you. 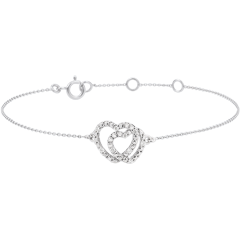 It will help you to make the right choice and to offer her the most beautiful of bracelets. You wish to give her a gift, but which bracelet will you choose? Discover our gift case, the Edenly Diamonds Box and let her make the decision. A gift that takes all the doubt out of making her happy.